The jewelry retailer eked out its first quarterly top-line increase since 2014. But forex rates distorted overseas sales. And Tiffany is worryingly exposed to the vagaries of a Trump presidency, from its flagship store’s proximity to his NYC home to his trade policy with China. The logo of U.S. jeweler Tiffany & Co. is seen at a store at the Bahnhofstrasse shopping street in Zurich, Switzerland October 26, 2016. 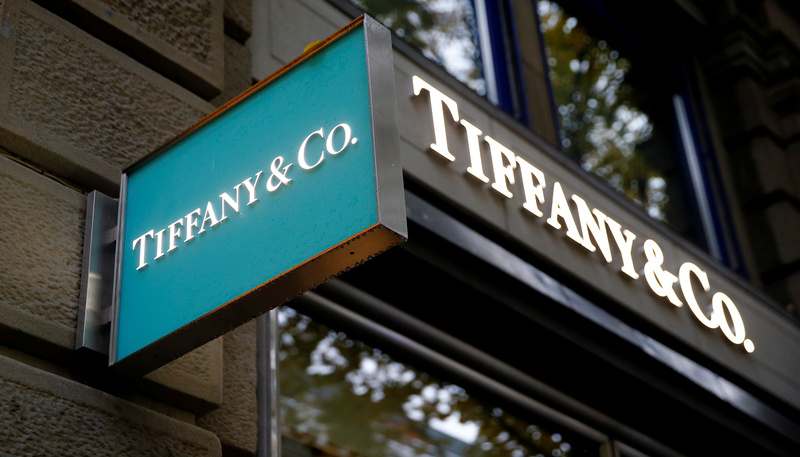 Tiffany & Co on Nov. 29 posted a 1 percent rise in sales in the three months ended October 31 and a 5 percent increase in net income, compared to the same period last year. Revenue beat sell-side analysts' expectations of a modest decline. The company's share price jumped as high as 7.5 percent to $84.05 in early trading on Nov. 29, before dropping back somewhat. The company noted there had been "some adverse effect" on customer traffic at its flagship store on New York City's Fifth Avenue because of the large security presence at Trump Tower, just down the block. That's the New York home for U.S. President-elect Donald Trump. Currency movements had a big impact on results. Sales rose 4 percent in Asia, with China posting double-digit gains and Japan up 13 percent, but the latter increase reflected a strong yen; stripping out currency effects, Japanese sales were down 4 percent. Dollar strength explained most of a 10 percent decline in European sales.